If you find the latest version of Firefox is not up to the mark, you may as well try out the new Pale Moon Browser. Now for all the Firefox purists out there, I must mention here that this is actually Firefox on steroids, as per speed that is. Firefox is an open source project, meaning which, you can actually change the code any way you want and release it. This allows for more customization. You can keep the features you like and trash the rest. Actually when Mozilla releases a version of Firefox, they keep maximum compatibility in their mind. Which means it is made to work on very low end machines, thus sacrificing speed and efficiency.Pale Moon tries a slightly different approach. Instead of trying to create a browser for everyone, they try to build a Windows optimized browser. 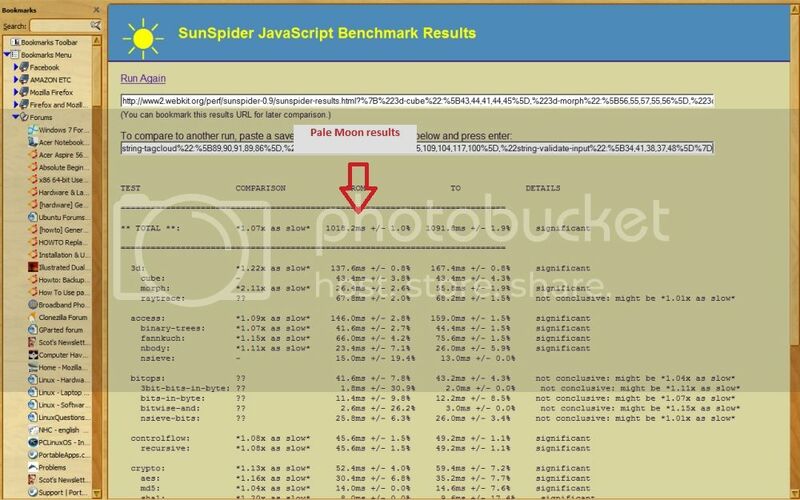 At this point of time, Pale Moon has completely discontinued the Firefox 4.x and 5.x versions because they were largely similar any way. Their main development centers around the Firefox 3.6.x version, especially for computers with ancient hardware. Besides they also maintain a latest 6.x version series as well. The current latest version of Pale Moon is based upon the Firefox 6.x version but along with better support for multi core CPUs, thus getting more from the system. Benchmark results show the same story. It also takes up a little less RAM than Firefox. You can find the benchmark results here. You can customize Pale Moon exactly as you could have done with Firefox itself, so you wont feel in a new new environment. All extensions, themes and personas that work with Firefox will work fine with Pale Moon as well. So if you require a faster Browser to browse the web but can't leave the Firefox fold, Pale Moon can be a breath of fresh air.